J. August Richards Is Not Luke Cage In Agents Of S.H.I.E.L.D. 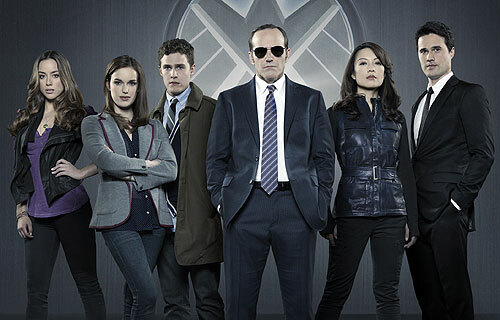 A new, extended trailer for Agents of S.H.I.E.L.D. recently hit the web, and fairly prominent in the footage was a mysterious character played by J. August Richards. This led to some serious speculation among internet fan-boys, many of which assumed a cool black character surely would have to be the famous hero for hire, Luke Cage. Unfortunately for those fans, in an interview with IGN, executive producer Jeffrey Bell shot down those Cage rumours by saying Bell is playing an interesting Marvel character, but not the one that people are talking about. He almost said the character’s name, but the interviewer says he was unable to tell whether it was a name that starts with an M, or Bell was simply letting out an extended “hmm”. Check out the full quote from Bell below. Bell also goes on to clarify that the character isn’t necessarily one who is familiar to those who merely dabble in Marvel lore, and even said that there will be some characters on the show not from the current Marvel universe. Assuming for a minute that Bell was indeed starting to say the character’s name, and the character is one from Marvel comics, that at least narrows down the scope for speculation a bit, though it still leaves hundreds of characters as options, especially considering the character isn’t necessarily originally black. I think Luke Cage would have been a very interesting addition to this show, and many fans certainly would’ve been happy to see him on screen. Then again, just because Richards isn’t playing him, doesn’t mean he won’t make an appearance at some point. Now that we know Agents of S.H.I.E.L.D. doesn’t include Luke Cage, who do you think Richards plays? Are you excited for the show? Head down to the comments section to share your thoughts. And if you haven’t seen the newest full-length trailer, be sure to check it out below.